Invoice Tracker is a comprehensive, Web based invoicing software solution that facilitates invoice workflow for Accounts Receivable by integrating Tracker Suite applications for time and expense, project management, and CRM with invoice templates, tools and reports. 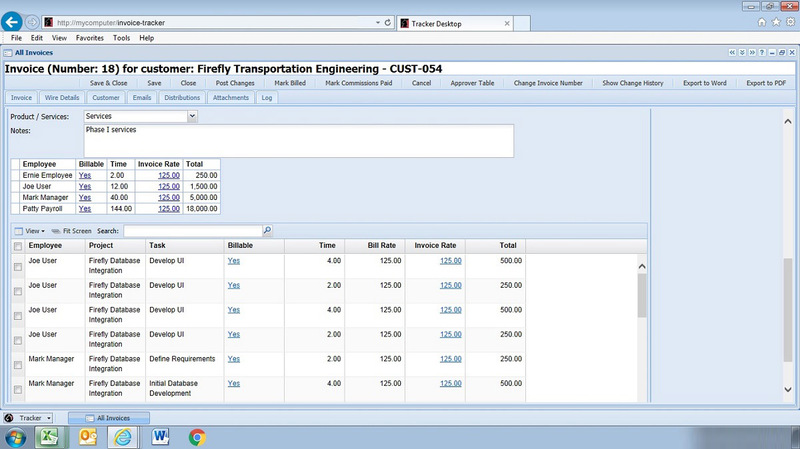 Invoices can be created against project tasks, expense reports, and activities. 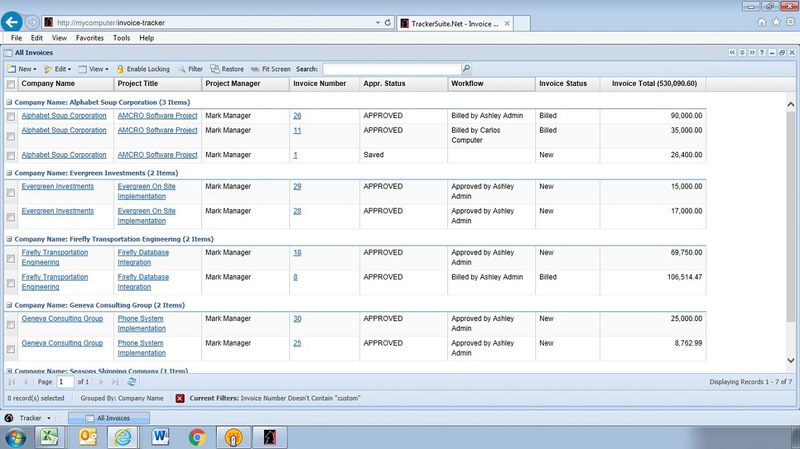 Invoice Tracker also provides a robust process for managing employee distributions for time spent on projects. 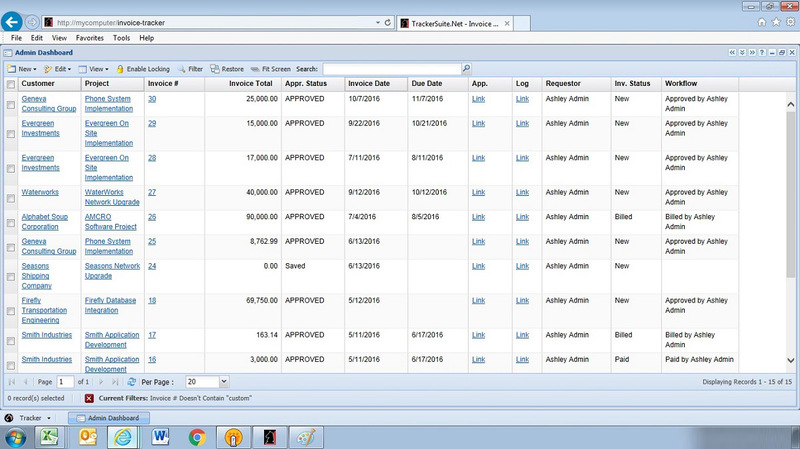 Invoice Tracker simplifies invoicing workflow with billing prep, billing review, and waiting for payment work areas. It offers views of budgeted and billed amounts by customer, project and project manager, including invoice lists, invoice prep and invoice forecasts. It reduces manager and Accounts Receivable workloads by allowing quick access to items waiting to be billed, billed items waiting for review, or invoices outstanding to customers. 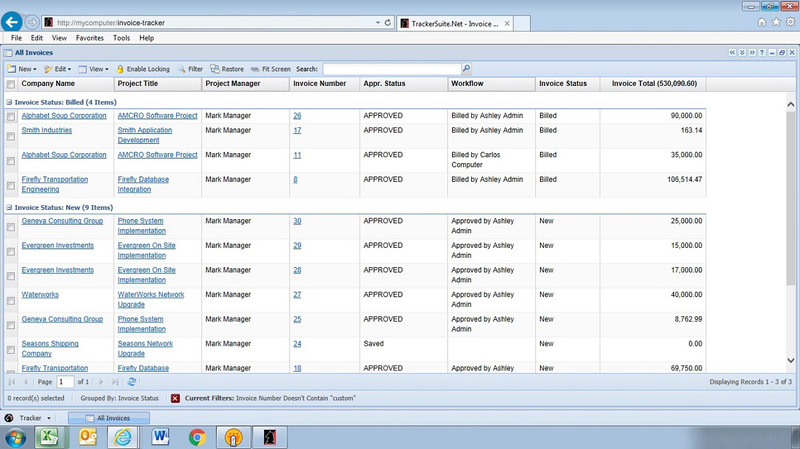 Invoice Tracker supports multiple invoice workflow statuses such as “New”, “Accrued”, “Review”, “Send Invoice”, “Invoice Billed”, and “Invoice Paid”. We have spent a few decades perfecting the art of software design and development. 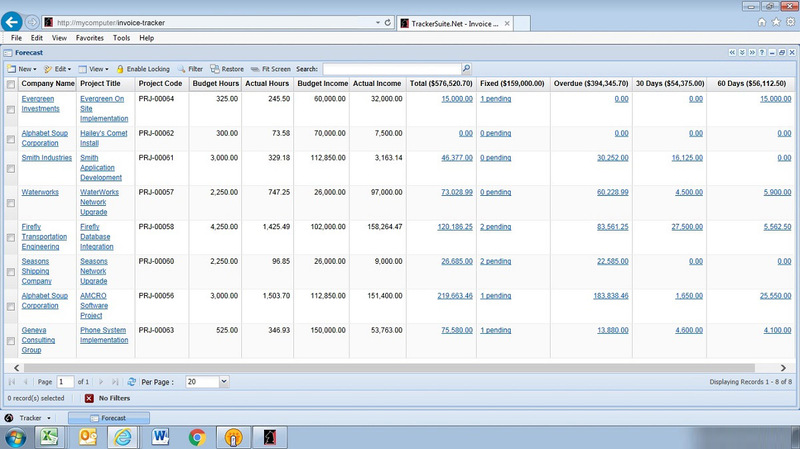 Here are a few examples of Invoice Tracker at work. Reduce their workload by eliminating the need to organize, file and store physical documents. Improve their relationship with internal resources and customers by utilizing a single, searchable point of access for invoice information and status updates. 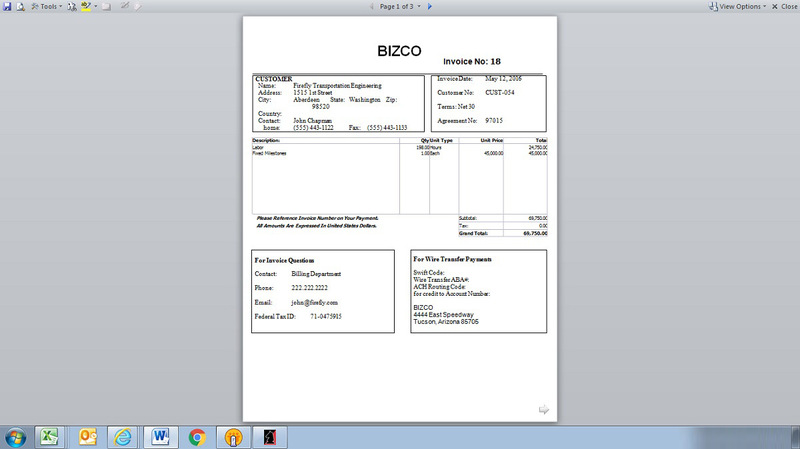 Mark time and expenses billable and non-billable at time of invoicing. 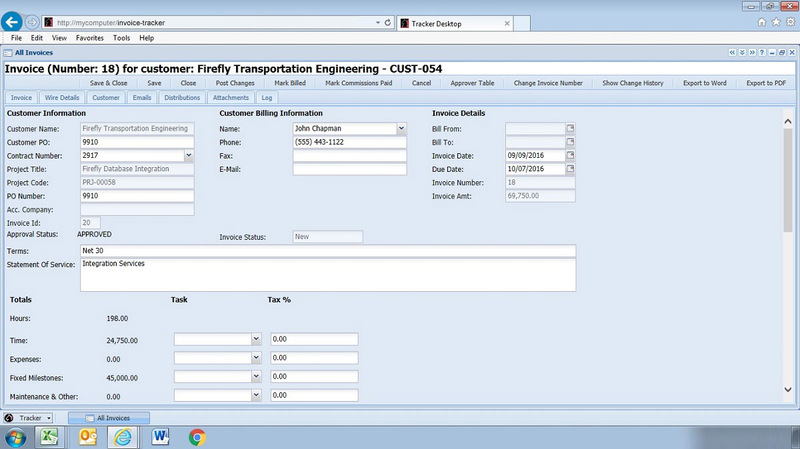 Integrate the billing of time, expense and fixed price items using Time Tracker, Expense Tracker and Customer Tracker.